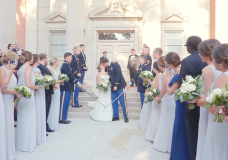 Meredith and Scott’s beautiful wedding took place at Perkins Chapel on the SMU Campus. We love this campus, and the chapel is a stunner. After their ceremony, everyone traveled to the Tower Club. Motion Band kept the party pumping. We worked with a fabulous group of vendors that made this an amazing wedding. We are so happy for this sweet couple – congrats! We’d love to be a part of your special day! If you have a wedding (or any event) coming up where you will need still photography, videography, or a photo booth contact us for more details. 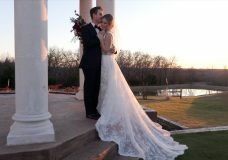 Thompson Pictures is a Dallas wedding photographer and Dallas wedding videographer. We also offer a high quality DSLR based photo booth for weddings, events, and anything in between.